Why Choose an SUV to Cruise Around the Hawaiian Islands? When you think about it, there isn’t much a high-quality SUV can’t do. Be it hauling a boat or transporting a large family, SUVs handle both with aplomb. So, if you’re searching for a great island vehicle, look no further than our new Honda SUV lineup! From the just-right HR-V, to the versatile CR-V, to the full-size Pilot, Big Island Honda offers a wide selection of SUV models and trims, sure to meet the needs of Oahu’s islanders. Sometimes you need a little extra traction to traverse Kamuela. Whether you run into sand dunes or you’re driving along the beach in search of the perfect relaxation spot, Honda SUVs can keep the pace. The HR-V, CR-V, and Pilot are all available with Real Time AWD with Intelligent Control System, which senses traction loss and automatically allocates torque to the wheels in need to give you a boost on rugged beach terrain. Unlike compact cars, sports utility vehicles let you fully enjoy all the beach has to offer, thanks to their towing abilities. Hook up a small boat or jet-ski to your Honda CR-V or Pilot, load up the family, snacks, and beach gear, and you’re ready for a day of fun in the sun! The CR-V has a maximum towing capacity of 1,500 pounds, while the full-size Pilot can tow as much as 5,000 with available all-wheel drive. Speaking of fun in the sun, an SUV gives you and your family the space you need for beach umbrellas, towels, picnic baskets, blow-up rafts, etc. You won’t have to leave anything behind for the sake of preserving room. Even the Honda HR-V Crossover—the smallest Honda SUV—offers as much as 24.3 cubic feet with the seats up. Behind the second row, the dimensions of the CR-V measure 39.2 cubic feet, while the Pilot SUV’s reach 55.9 cubic feet. Pick-Up a New Honda SUV at Big Island Honda! 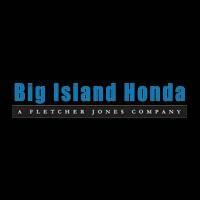 Hilo and Kailua Kona drivers in search of the ideal island vehicle can visit us at Big Island Honda for a look at the new Honda SUVs! We maintain two locations; our Hilo dealership is located at 124 Wiwoole Street, and our Kailua Kona dealership is found at 75-5608 Kuakini Highway. Contact us to schedule a test drive today!